The Japanese taxation system is quite elaborate so it is advisable that the Tax authorities are checked before paying a tax. Both individuals and companies must pay a number of taxes every year and must file annual returns. Foreign residents are only taxed for the incomes earned in Japan. The permanent residents of Japan are paying taxes for the income gained in Japan and abroad. Along with the permanent residents, the individual living in Japan for less than five years and the non-residents are subject to taxation. Our company registration consultants in Japan can help businessmen who are in need of tax advice and planning. Residents in Japan pay taxes on their worldwide income. Non-residents are taxed only on their income derived from the country. The tax law includes twelve classes of income. A self-assessment system applies. For individual taxation in Japan, progressive rates of up to 55% apply to their income. This also includes the local and national inhabitant’s tax. Resident Japanese companies are taxed on their worldwide income while foreign companies are only taxed on the income they produce in Japan. Branches in Japan are taxed at the same corporate income tax rate as subsidiaries. The corporate tax in Japan is 23,4% and it applies to resident companies that have a share capital over 100 million JPY. Other taxes apply to this rate such as the local inhabitant tax and the local enterprise tax. one of our company formation agents in Japan can give you complete information about the calculation method for the factor-based enterprise tax. 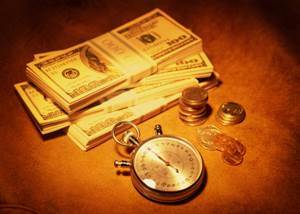 A withholding tax of 20% usually applies on dividends, interest, and royalties. These may be reduced under a double tax treaty. A 20% withholding tax also applies to Japanese-source service fees. The social security in Japan covers the pension insurance, unemployment insurance, health insurance, etc. The social security rate for the employer is 16.24%. Other taxes for companies in Japan include the capital duty, the payroll tax, the real property tax, the stamp duty and the transfer tax. Japan also imposes a consumption tax that applies to the provision of goods and services and the transfer or lease of goods. The standard rate is 8%. The Japanese Government offers a wide range of incentives and tax credits. A 2-5% tax credit applies to those investments in productivity-improving assets and a 10% tax credit applies for the promotion of income growth. When companies hire new employees in Japan they can also benefit from a tax credit for job creation. The Japanese Corporate Tax Law allows for deductions that refer to material costs or manufacturing, administration or trading expenses. One of our company formation specialists in Japan can help you with information on the existing deductions for companies and the special one for small and medium-sized enterprises. The companies opened in Japan are obliged to submit the annual returns and pay within two months of the tax year, with the possibility to ask for another month as an extension. The dues taxes are to be paid within two months from the end of the half of the tax year. Companies can file a blue tax return or a white tax return. 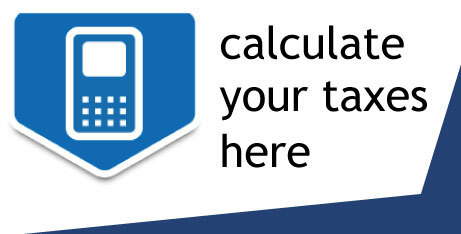 The blue one offers a series of tax privileges, for example, deductions or accelerated depreciation. In order to opt for the blue form, companies must apply for it at the beginning of the tax year. Penalties apply for underreporting of taxes or for late filing of tax reports and tax payments. Companies that have a share capital of more than 500 million JPY are required to appoint an external auditor. For these companies, and for those that have outstanding debts, the audit is performed according to the Companies Law. The same requirement to appoint a certified auditor or an auditing firm also applies to all companies listed on the Japanese stock markets. Individuals are obliged to file annual reports. The tax year for individuals is the same as the calendar year. 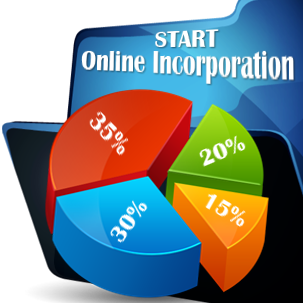 Income derived from self-employment is generally treated the same way and calculated in the same manner as in the case of corporations. Individuals who derive income from a sole trader must self-report their profits. Those individuals who fail to report the total tax due or who fails to observe the tax filing deadlines are subject to penalties. We can help companies comply with the taxation system in Japan. 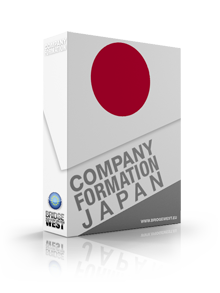 Do not hesitate to contact our company registration agents in Japan for tax consultancy and company formation services.